Membership dues support ongoing gifts to the Library for library events, author honorariums, food, special collection purchases and more. 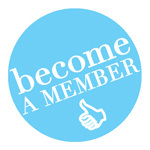 Please consider becoming a member or renewing your membership today. To become a member click the “Become a Member” button to the right and pay online with a credit card. Or to pay via check download our membership brochure and mail us a check. $180K donation for the the fireplace (unfunded alternate) and furnishing upgrades at the new Mendenhall Valley Public Library (2015). $1M donation to the City and Borough of Juneau as part of the local match needed for a $7.5M State of Alaska Grant for New Library Construction (Valley Library, 2014). Purchase of furniture and shelving for Mendenhall Valley Library remodel (2006). Purchase of initial collection of circulating video games for all three libraries. Gala reception and authors’ brunch for 20th Anniversary of downtown Juneau Public Library (2009). Ongoing partnership with the Association for the Education of Young Children, Southeast Alaska to sponsor family nights at the library in support of literacy. Purchase of incentive awards and prize drawings for new library card promotion. Purchase of instant photo printing equipment for Youth Services programs. Purchase of computer and audio equipment for teen game nights at the library and for web audio podcasts of library programs. Continued support for author visits for the summer reading program, the annual children’s bookmark contest, and for many other programs and activities that promote reading and library use.